Battles were fought and won based on the strength and keenness of blades as well as the ability to use them effectively. Bob Howard was not only interested in the various types of swords, he was also fascinated with the history they represented. In his poetry and his stories, he uses his knowledge of weapons, historical people, places and events to give us vivid images of those ages. And Robert E. Howard’s interests in swords was not limited to collecting them. 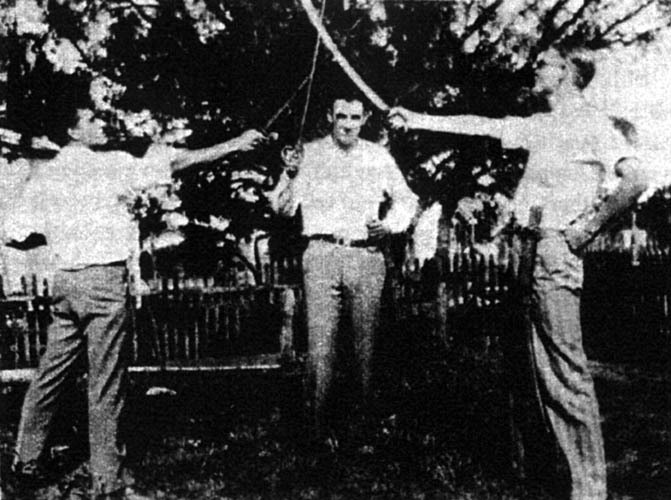 There is no mention made of who the unfortunate friend was but the picture below shows Howard and his friends engaged in what looks like it could become a fencing bout. References to various types of swords appear throughout Howard’s letters and the following quotation reveals he was well acquainted with their use and function. While most of us are already acquainted with the sword skills of Howard’s heroes and heroines, swords also played an important role in his poetry. He mentions them in over eighty poems and there are more references under the synonyms: “steel” and “blade.” Yet he refers to fewer than a dozen specific types in his vivid descriptions of battles and sword fights. One of these is the broadsword. Along his arm the keen edge burned. Lines such as these from “The Ballad of King Geraint” come alive when we have a mental picture of the sword that was used and know its power. Exactly what is a broadsword? What does it look like? To give added enjoyment and understanding while reading these battle scenes, each sword type mentioned in Robert E. Howard’s poetry is listed below, along with a description, an excerpt from his poetry and, whenever possible, a picture of the sword, based on the context of the poem. The broadsword is described as a large, heavy sword with a broad blade for cutting rather than thrusting. It had a two-edged blade measuring two-three inches wide at the base and tapered to a point; the length ranged from thirty to forty-five inches and it weighed between three and five pounds. It was a close contact weapon used primarily for cutting or slicing an opponent and was capable of cutting off limbs or the head of an enemy in one stroke. The broadsword is referenced in many of Howard’s poems, including this excerpt from “The Phoenix on the Sword,” a poem based on the Conan story of the same name. Rush in and die, dogs-I was a man before I was a king. A sword that conjures up images of sailors and of pirate battles is the cutlass, a short, heavy sword with a curved single-edged blade. Of cannonade and cutlass, wind and rack. Aye, ye who followed rode a beaten track. . .
Oh, hissing cutlass backed by English brawn! Oh, plunder from a thousand cargoes drawn! He rose in a wave of foes alone. Gripped his mace in his mighty hands. Hewing and stabbing with spear and glaive. A man of iron in that red hour. The great black mallet rose and fell. Brass or iron or steel-braced wood. He struck as a bolt of thunder strikes. They gripped his legs to wrestle him down. And they staggered back when their strength was spent. Shook off the grasp of their nerveless hands. To the berserk wrath of the giant Scot. From all sides smote with a fearful din. The blood of the terrible Northern man. The blood was starting from every vein. But he dealt his blows without stay or stint. By definition, a hanger is a short sword that may be hung from a belt. Known as the small sword, it is a shorter and much faster weapon than the rapier and is equally capable of attack and defense. “Must I parley, devils of Hell! with you? The blade leaped out like a flame of blue. And his lips writhed in face of a hellion. And the girl shrank back in sudden fear. “Stand, Sir Dickon, raper and liar! And the blue sparks showered in the gloom. Mark stood weaponless and bare. As the rapier sank beneath his heart. The Mongol sword was a slightly curved scimitar (pictured and described below.) This type of sword was more useful for slashing attacks than stabbing and thrusting, making it easier to use on horseback. Howard refers to this type of sword in the poem, “Babylon (draft version)” which is printed in full below. His poetic descriptions bring to life the eerie ruins of Babylon as he speaks of the downfall of this historical city. When twilight’s ghostly petals fall in Babylon, dead Babylon. Toppled before the ages’ ire in Babylon, far Babylon. And Tamerlane broke down the moon and ringed the walls of Babylon. And broke the silver sighing mist that parted doom from Babylon. When the grey rose of twilight fades in Babylon, in Babylon. The pommel is the knob on the hilt of a sword or saber. It is made in a variety of shapes and sizes. Some were beautifully crafted and individual to the sword’s owner. Pommel appears only once in Howard’s poetry but he uses it effectively in this excerpt from “Eric of Norway.” Again, an epic tale of battles, heroism and loyalty. The blood streamed from his arm and head, and he could scarcely stand. Like a buffalo bull he charged to meet-the point of Harald’s sword! To the hilt it sank in Eric’s breast and Eric bit the dust. And the star of Eric of Norway went down with the setting sun. And deep in his heart he had believed that Eric could ne’er be beat. There are two sword types listed in this category. The first is the Khanda, a double-edged, straight blade sword that is unique to the ancient Kshatriyas of the Hindus. The blade is usually broad and quite heavy, and broadens from the hilt to the tip, where it transforms rather abruptly to somewhat resemble the tips of ancient Roman swords. The hilt has a small metal spike coming out in the opposite direction which is typical of Khanda. While the straight swords around the world were primarily used for thrusting and stabbing with the tip, the Khanda was mainly used to hack or cleave with the edge of the blade. The other types, the Rajput straight sword, (as well as other swords curved both inward and outward), have been used in Indian history since the Iron Age. Rajput sword curved inward. Photo by Gavin Nugent, used with permission. From Howard’s reference to the Rajput sword in the Untitled poem, (“Now bright, now red, the sabers sped among the racing horde,”) printed in full below, it is impossible to tell whether he was referring to the Khanda or the longer sword that curved inward. Note the many weapons mentioned in this poem: saber, knife, sword, spear as well as a shield. “Sword,” including the word “saber,” is used six times in eight lines as he gives a vivid description of the battle. Those who are fans of Howard’s, El Borak, will recognize his comrade-in-arms, Yar Ali Khan, who also appears in other REH poems. The Afghan knife reft Hindu life and leaped the Rajput sword. And as in dreams rang loud the screams of ravished Hindu girls. 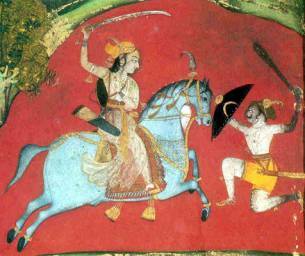 With sword in hand, Yar Ali Khan rode o’er the battle-field. From heel to head the chief was red, the blood was not his own. In crimson tide his sword was dyed that had so brightly shone. 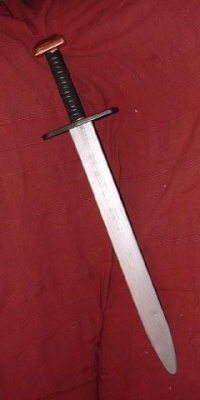 A long, slender, two-edged sword with a cuplike hilt, used in the sixteenth and seventeenth centuries; a light, sharp-pointed sword lacking a cutting edge and used only for thrusting. According to the Sword Forum website, the rapier era may be divided into three distinct periods. The early period, in the middle sixteenth century, was characterized by the usage of heavy cut and thrust rapiers. 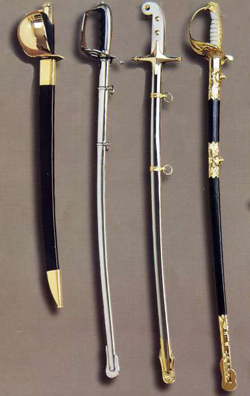 During the middle period rapiers came of age; Sword dimensions stabilized and the thrust gained prominence, though the cut was retained to some extent. The masters of this era, exemplified by Capo Ferro (late sixteenth century), had a distinctly modern outlook, holding that the sword alone was sufficient for defense and that technique should be developed in the direction of gaining “time” (loosely, initiative) rather than pre-attack preparation. 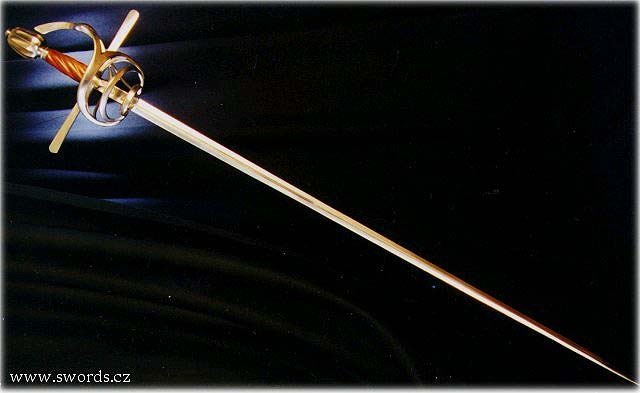 The late rapier era, also known as the transition period, was relatively short, from about 1650 to 1680, and is remembered by the shift from single to double time fencing. During these closing years the cup hilt made its appearance, probably in response to ever tighter swordplay; blades got shorter, lighter and the cut as well as defense with the left hand were abandoned, at least in principle. The rapier shows up in several Howard poems, including “An Incident of the Muscovy-Turkish War” with its familiar hero, which has been printed in full below. With all the yelling devils of the barge. Our captain’s rapier leaped-a fire of blue. And “John Paul Jones!” said he, and ran him through. Note also Howard’s reference above in the second stanza to the saber, which brings us to the next sword type. The saber is defined as a heavy cavalry sword with a one-edged, slightly curved blade as well as a light dueling or fencing sword having an arched guard covering the hand and a tapered flexible blade with a cutting edge on one side and on the tip. What dead things shall their eyes discover? What, when the gray wolves cease their roaming? We are sworn to slay each other. 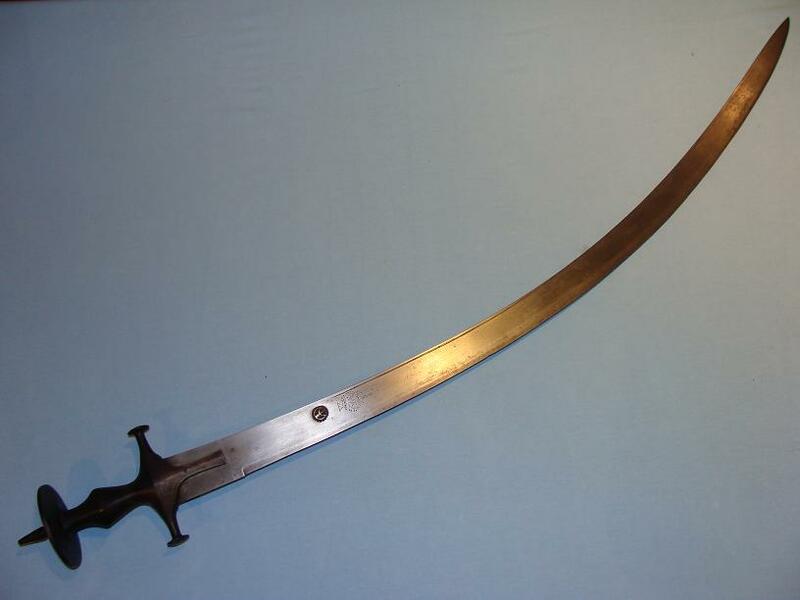 The scimitar is a saber having a curved blade with the edge on the convex side and used chiefly by Arabs and Turks. While the blade is always curved, the sword itself was forged in many varieties and shapes. In this excerpt from “Crusade,” REH takes us into the middle of a battle. We are there as “horses stumble and riders reel” and scimitars and broadswords flash and clamor. And the hot wind sings to the flashing brands. And flame on a thousand spears at rest. Flinging their scorn to the hissing spur. In, close in! And ply your steel. Though the swift shafts hum like a million bees. Never a one would check that pace! On they roar like a tidal-race! Scimitars thrum on the leveled spear. On they roar like a steel-tipped wall. Shields are shattered and turbans fall. Knight to warrior and blade to blade. And the red wind roars with a thousand ghosts. As the red rout breaks o’er the crimson plains. A talwar, or tulwar, is a type of saber from Mughal India dating back to at least the seventeenth century. In what was called Hindustan it became by far the most popular choice of sword. 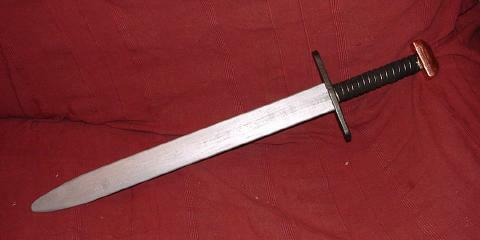 As a single-handed sword the talwar displays a metal hilt with short quillions for the upper guard, and a unique flat-disc pommel. 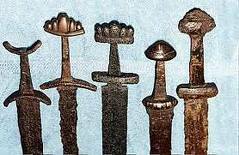 The blades and hilts of the talwar were often very ornate. In the Mughal texts the talwar is practically a Rajput sword (pictured and described above under “The Rajput Sword”) and in describing a victory gained by a Rajput general over Afghan rebels it is stated that, “the Afghan army’s sword broke under the Rajput talwar.” However, from Rajput tradition, it becomes clear that an older and more typical Rajput sword is the Khanda (also pictured and described above under “The Rajput Sword”) which is a double-edged straight blade that seems to be similar to ancient specimens depicted in sculptures and wall paintings such as the one pictured below. One of the best versions of the talwar is the Sirohi, which is manufactured at the town of that name in south-western Rajasthan. The Sirohi is lighter and more slender than other versions. And drew upon the Oxus banks to break the Tartar raid. Well skilled in border warfare, well trained in tribal strife. Well chose the king to guard the front, the man who knew no fear. A true sign that was to us that the foe was very near. The plain was filled with flying folk, who fled, half mad with fear. And out of every group of five, one man escaped with life. …as we emerged into the only part where daylight strikes, the great chamber directly under the opening, a shaft of marvelous, gleaming, almost frosty blue slanted down like a radiant sword; only the beam of the burning New Mexican sun, transformed into a miracle of glittering color, giant in volume, as is everything in that country, transforming the cavern into a vast pagan shrine. “A shaft of marvelous, gleaming, almost frosty blue slanted down like a radiant sword.” A poetic tribute from the poet who collected swords. A great essay. I enjoyed the excerpts of Howard’s poetry along with images of the weapons in question. 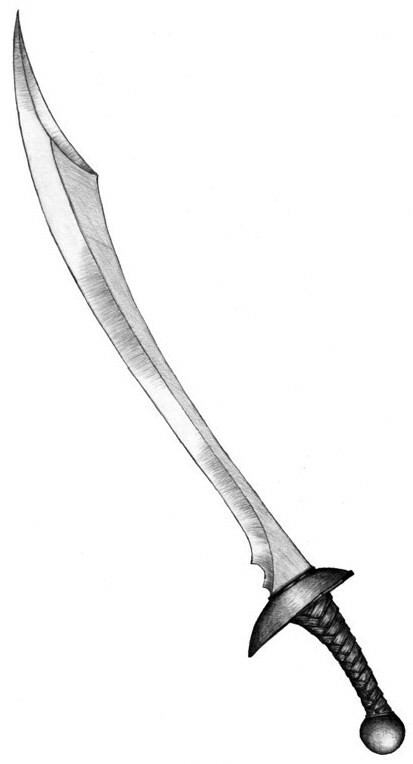 I always thought of glaives as a pole arm weapon– a single edged blade on the end of a spear-like haft. Interesting to learn about other meanings of the word. Incidentally, the “hanger” or small sword is the equivalent of the modern epee, which is one of the three commonly used western fencing weapons. I was also surprised by this meaning of the word “glaive,” as I have also mostly seen it as a polearm. I checked in the OED, which shows the earliest use as “a lance,” and later as a type of halberd or bill. It also shows the “sword” meaning becoming quite popular in the nineteenth century, whose poetry I imagine REH could well have found it in. Though I have to admit, the poem doesn’t make it clear which use REH meant. I’ll have to keep these different meanings in mind in my own writing; perhaps I’ll just avoid “glaive” completely! Hi Daniel, I finally figured out how to comment back. Sandro and I discussed this in emails also. I saw the various definitions when I looked it up but chose the one I thought came closest to the meaning in the poem. You’re right, the usage of the word in “The Ballad of King Geraint” isn’t clear. The line of poetry also includes *hewing,* although only those of you familiar with lances could know for sure whether a lance could *hew. * I took it to mean a sword. In Merriam-Webster online, the etymology shows it is Middle English, from Anglo-French, sword, lance, from Latin *gladius* sword and is dated 15th century. M-W also shows the usage is *archiac*: sword, especially: broadsword. However when searching for a photo, I found a variety of images that were not a sword. Thanks Daniel and Sandro for the interesting discussion on glaive. Lots of fun and it is one of REH’s unusual words. 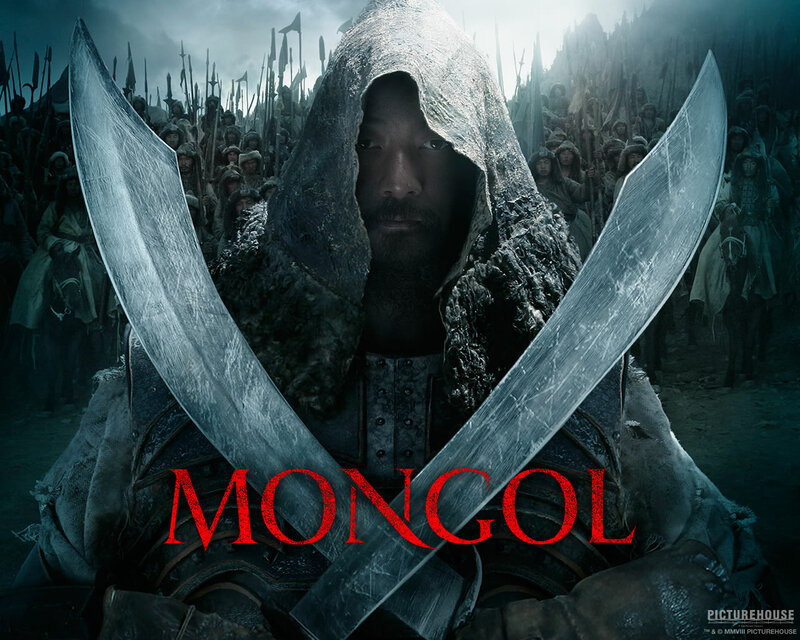 During this past week, I attended the “Genghis Khan, The Exhibition* at The Tech in San Jose and the variety of sword types used is incredible. Brian Leno posted news about the exhibition on the REH Two-Gun Recanteur website so I will post an account of it there but if my pictures turn out well, I’ll have enough material for an article re REH and Genghis Khan that I will post here as well. It was a fascinating exhibition to say the least. Hi Dragsonsedge, You won’t have to wait for an article from me. Kortoso on the Conan.com forum has posted some pictures already from the Genghis Khan The Exhibition in San Jose. I just hope mine are as good. Here is the link to his slide show. Do contact me if you would like to know more about Rajput Swords and would like to see a live display in October 2010. Must I parley, devils of Hell! with you? Barbara, you are correct that the definition is rather vague and that the term can be applied to several sword types. Howard seems to be using the term “hanger” and “rapier” for the same sword–is that correct? 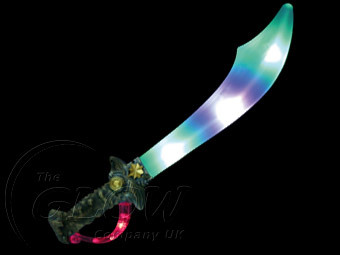 I also wanted to add that the scimitar pictured above is a fantasy design (probably appropriate for Howard!) and not a historical example. Scimitar was a kind of generic word used for curved swords of the Middle East, and sometimes even curved Western European swords based on Eastern designs. 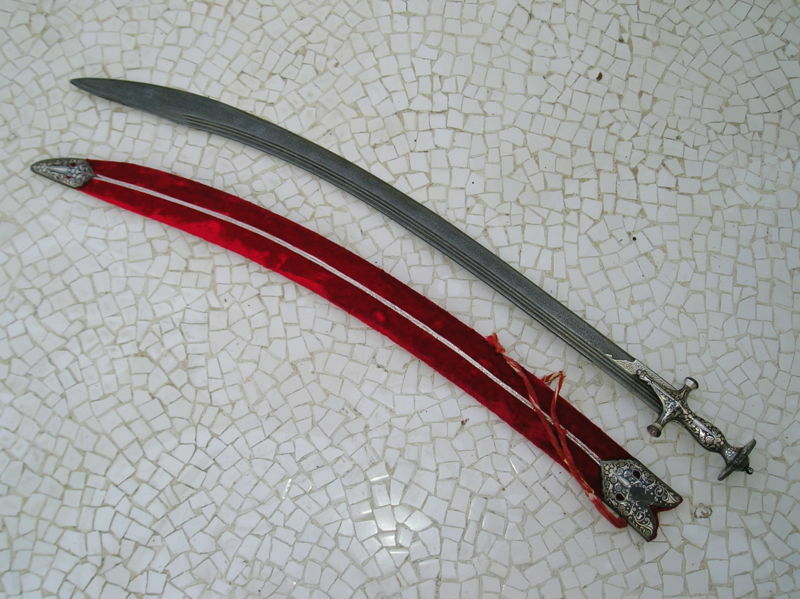 Collectors and sword enthusiasts today would probably use the term shamshir or saif to refer to the scimitar.